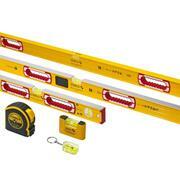 The Stablia 6 Piece Level Kit is fantastic value for money! You know the name Stabila, their levels are used on sites up and down the UK and across the whole world for good reason! These levels are some of the finest measuring instruments that money can buy and, with proper care, will last you many many years and pay for themselves time and time again. You wouldn't settle for less than the best workmanship so why settle with your tools? 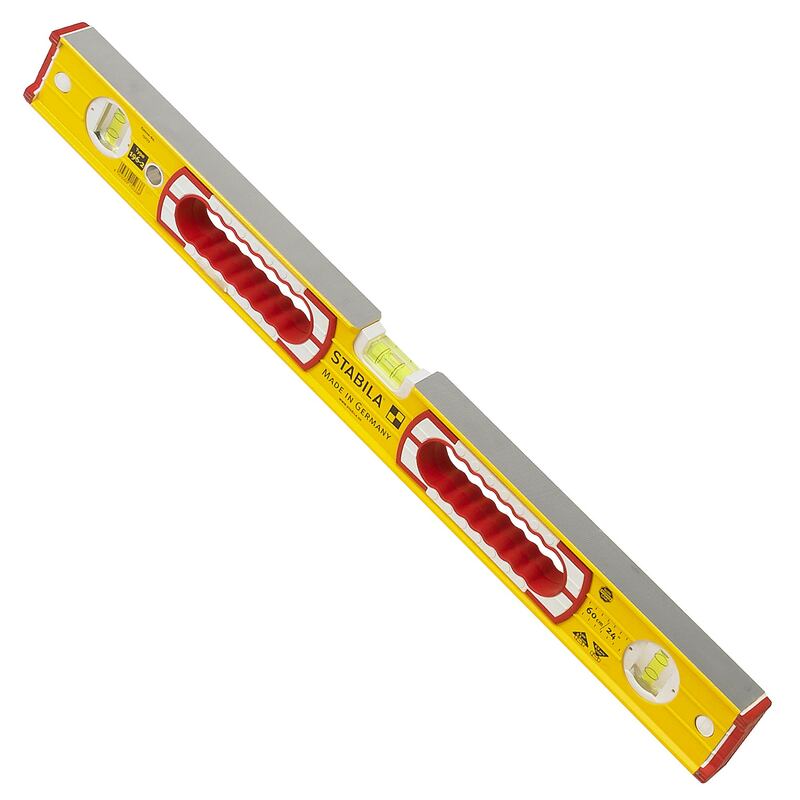 Treat yourself and keep spirits high on site with these top of the line levels. 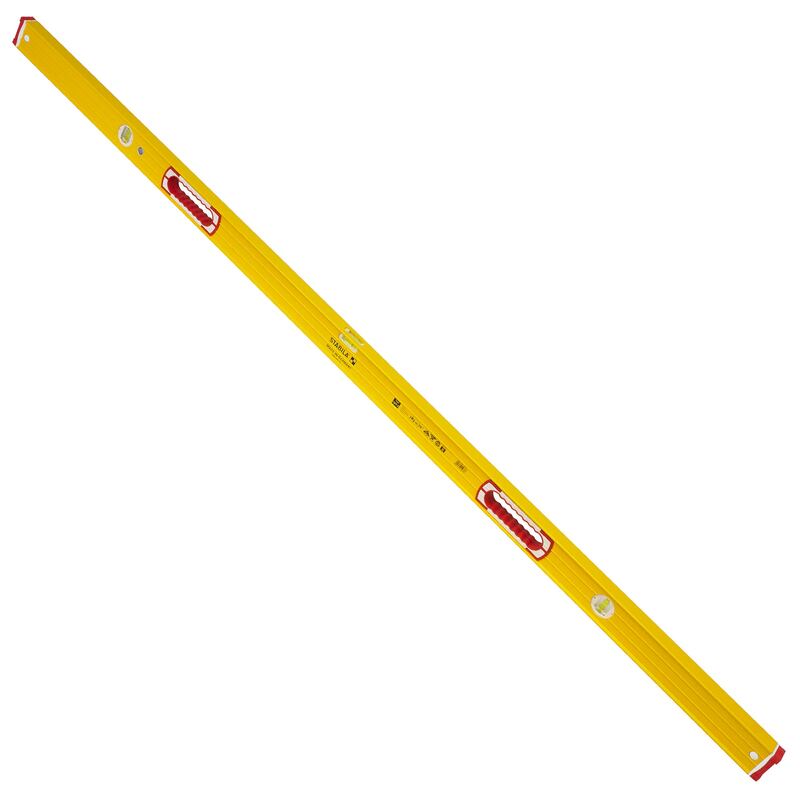 This pack includes 72"/1800mm Heavy Duty Level with extra rigid reinforced aluminum profile, two rubberized hand holds and removeable shock-absorbing end caps and anti slip stoppers. 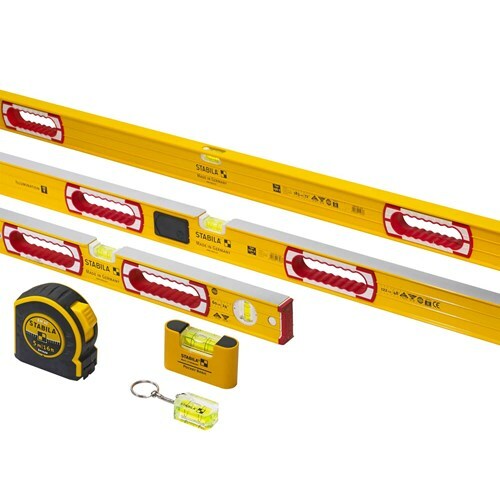 48"/1200mm LED Light Level with illuminated Vials, easy to read, 2x Removeable light packs, auto shut off after 100 seconds and includes 3 x AAA Batteries (5 hour life each). 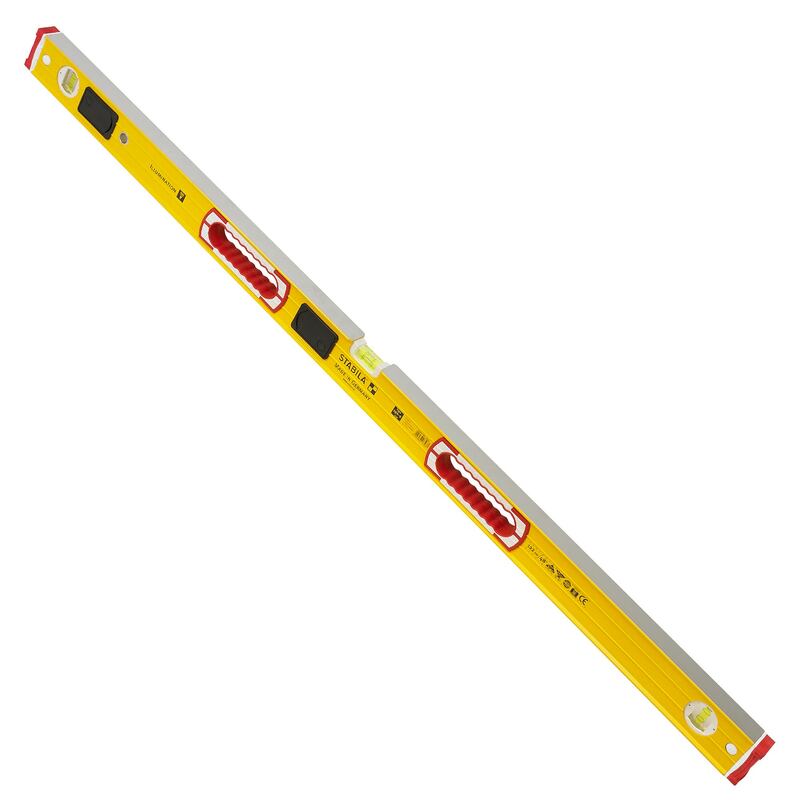 24"/600mm Heavy Duty Level with rectangular profile with two handholds for a positive grip, electrostatic powder coating for scratch resistance and easy cleaning, removable end caps, anti-slp stoppers. 5m Imperial/Metric Tape Measure, Pocket Level, Level Key Ring.